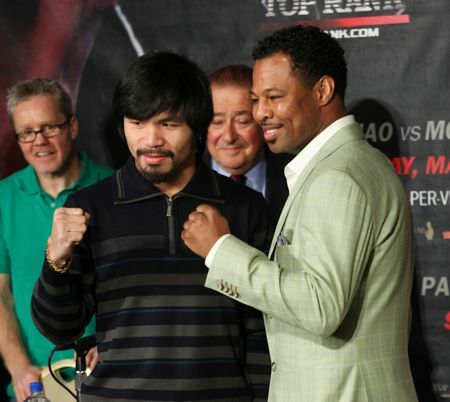 Pacquiao and Mosley meet face to face in Beverly Hills! Pound for pound king Manny ‘Pacman’ Pacquiao and ‘Sugar’ Shane Mosley met face to face for the first time to officially announce their upcoming super fight earlier today in Los Angeles. The two will clash in an anticipated mega fight May 7 at the MGM Grand in Las Vegas, Nevada live on Showtime! Im for Pacquiao on this fight. Both are great fighters. Trying out this lens on my Sony Cybershot DSC-W330.